They were very large, and also very fresh. And a dark shadow moving on a tree nearby caught our eye. The bear! With three cubs! Climbing on a tree! 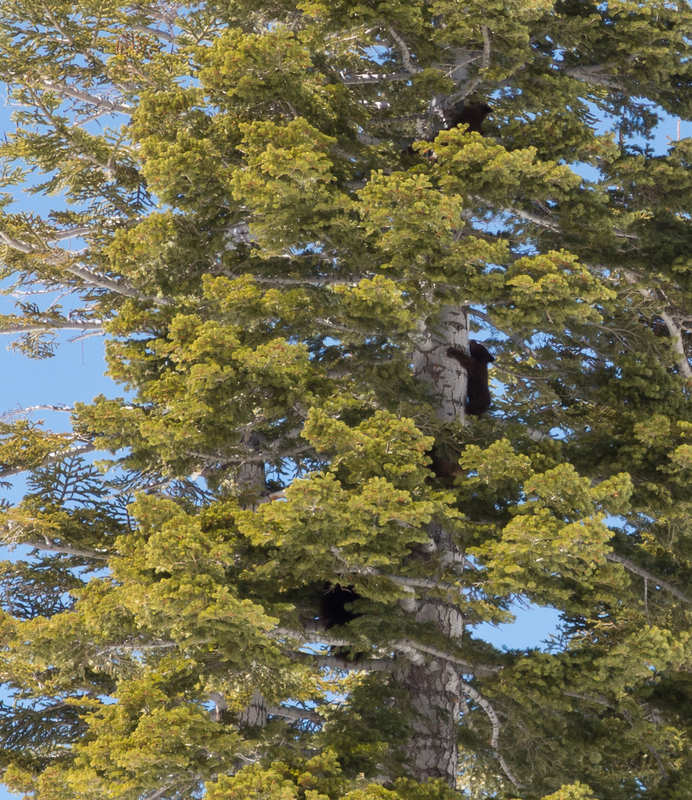 Mother bear had evidently heard us coming, and had sent her three cubs up a tree, to protect them, and was herself climbing the tree. 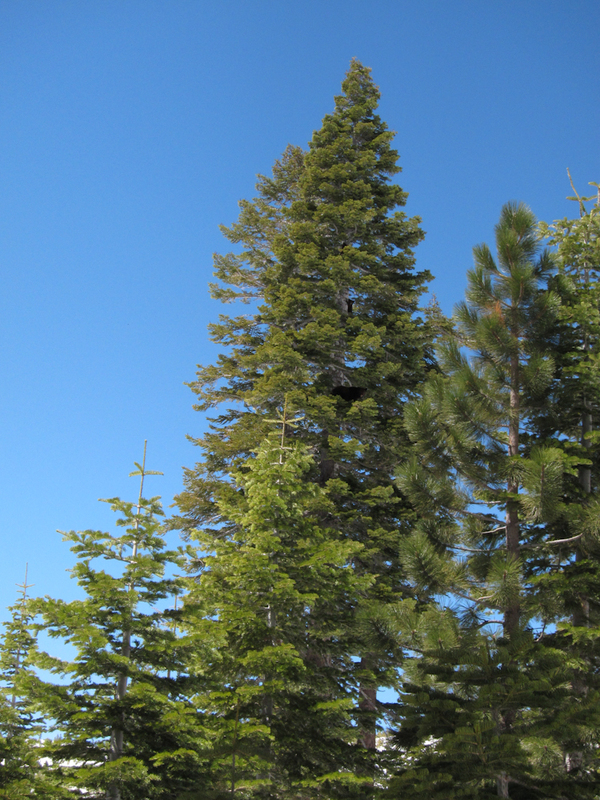 She was huge, the biggest bear we have seen so far (and we have seen many, from Sequoia Natl Park, to Yosemite). 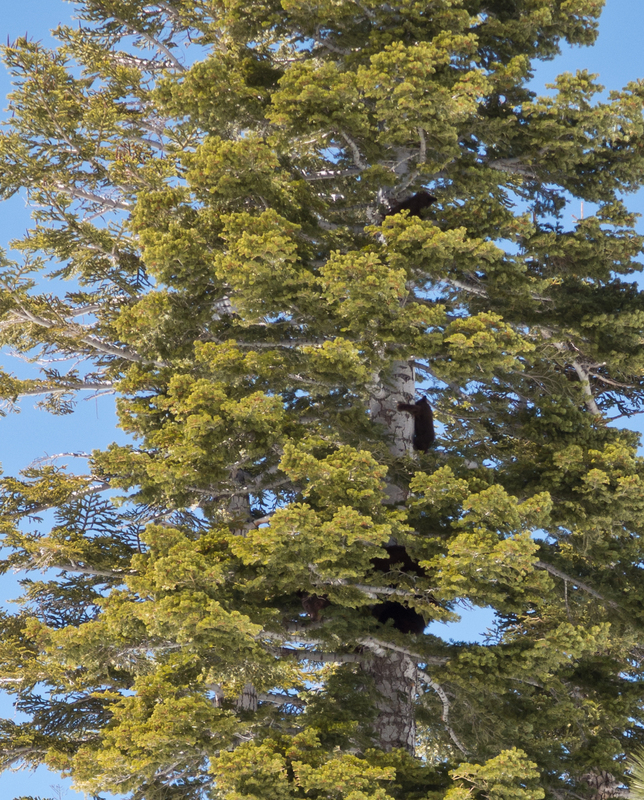 It’s never a good idea to be around a mother bear with cubs; luckily in this case, the mother had sent her cubs up a tree, and so she was unlikely to attack to protect the cubs unless we came closer. 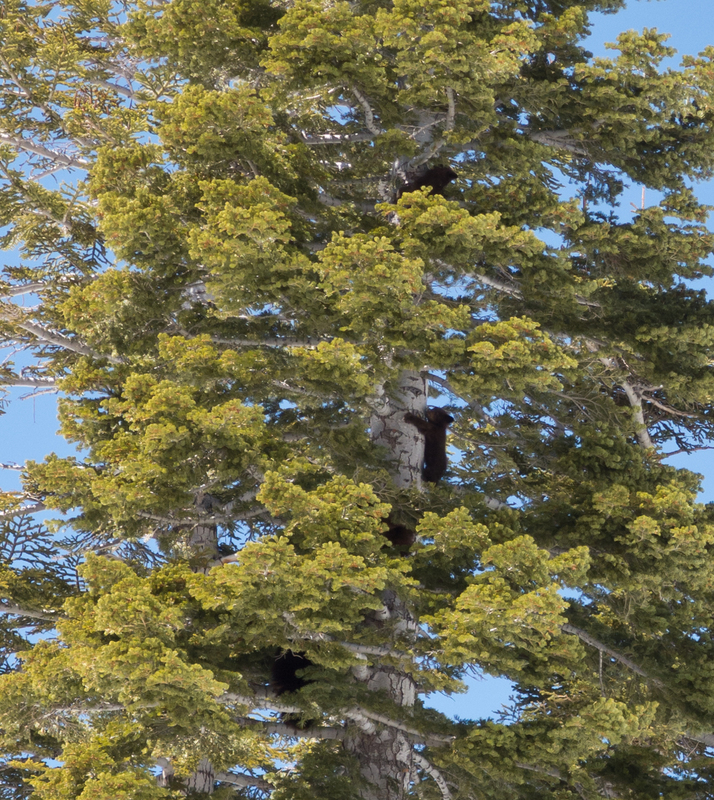 We promptly backtracked, and while going back, we managed to quickly get a few shots of the bear and her cubs. 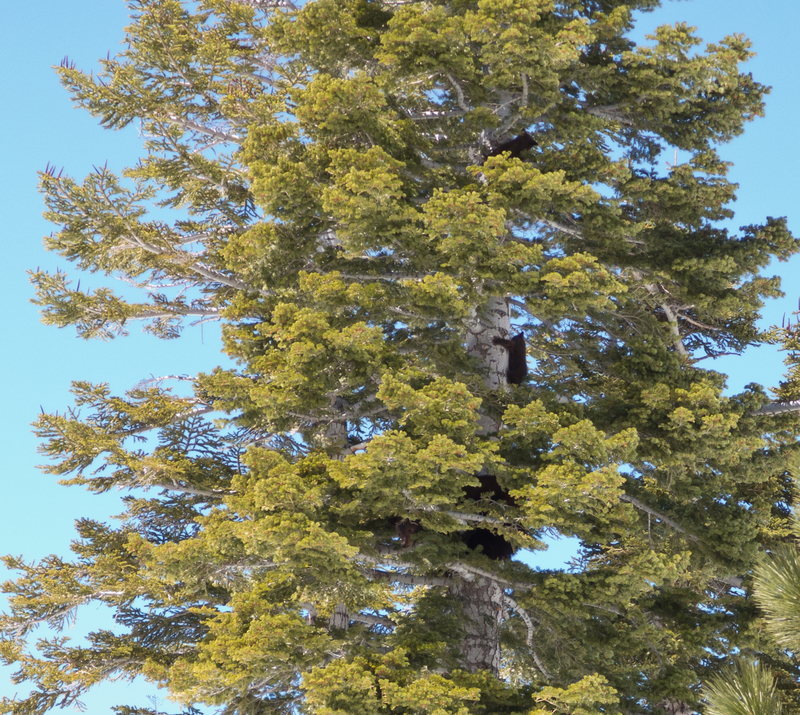 They were quite far up the tree; they were excellent climbers. 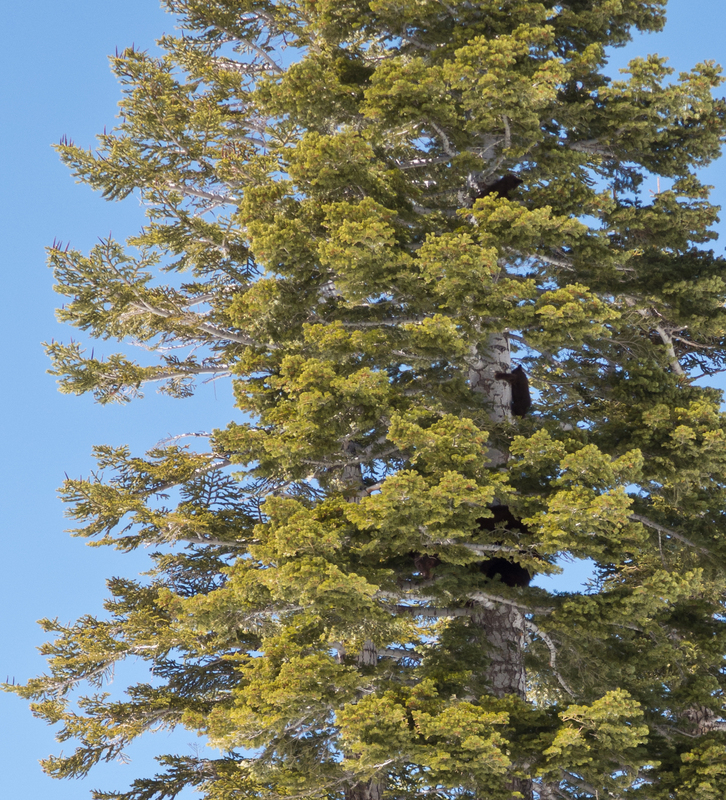 Bears are really good climbers! 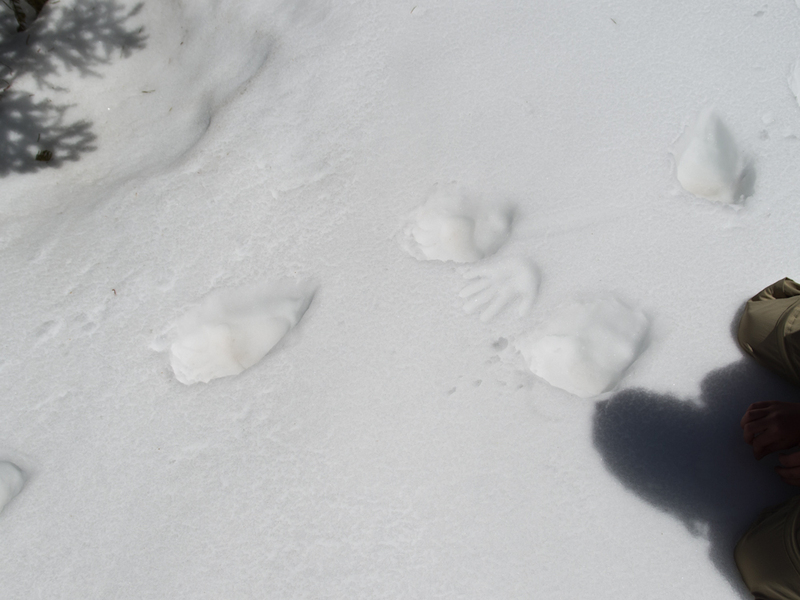 We later heard that a bear spent the winter under a balcony in Tahoe Donner… we wonder whether it was this bear. This entry was posted in Hiking, Nature. Bookmark the permalink.